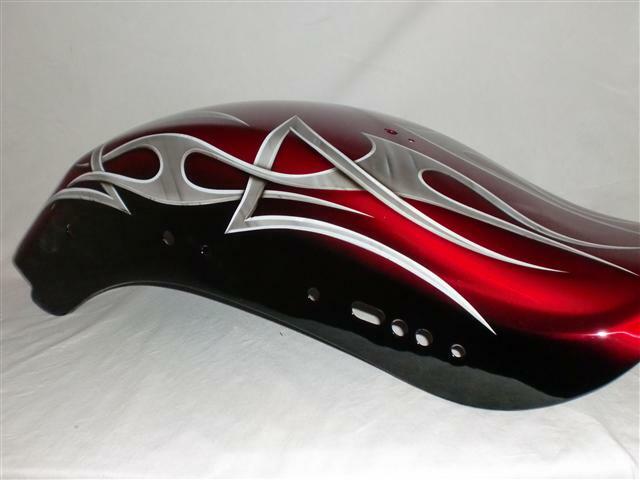 Beveled tribal designs wrapping in and out of each other. 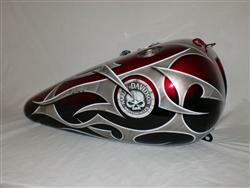 A Willie G skull in the middle of the tank on both sides. 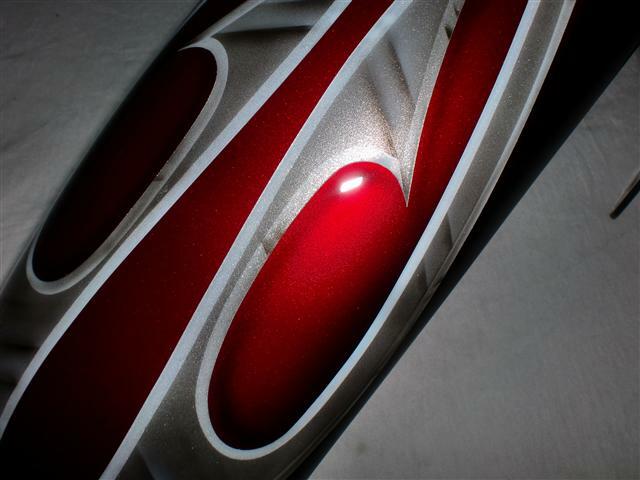 The base coat is candy red on top and center fading to black on the bottoms and the sides. 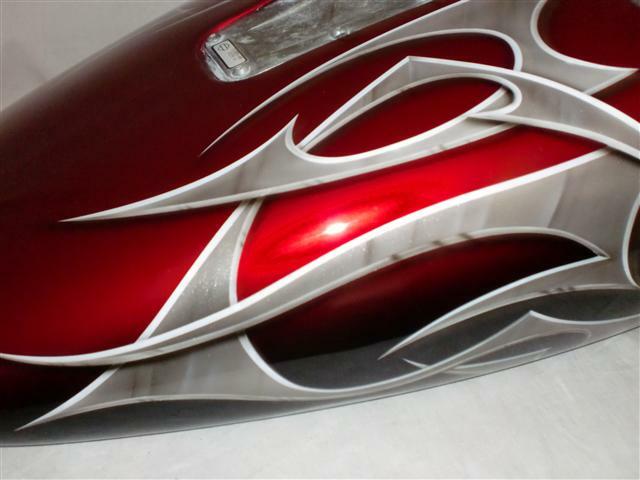 Hour an hours of airbrushing goes into creating this awesome eye catching set. 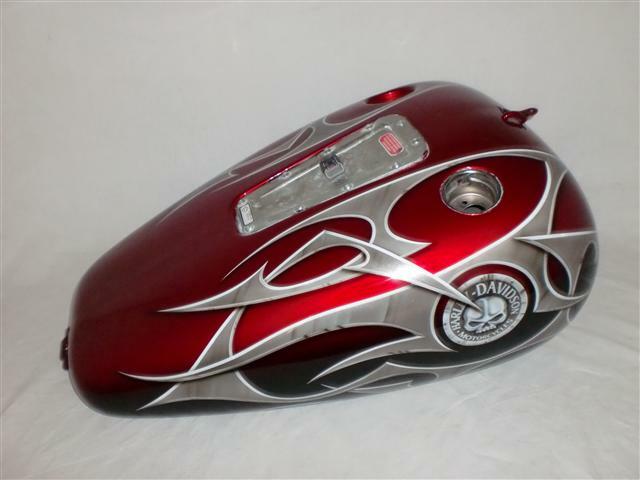 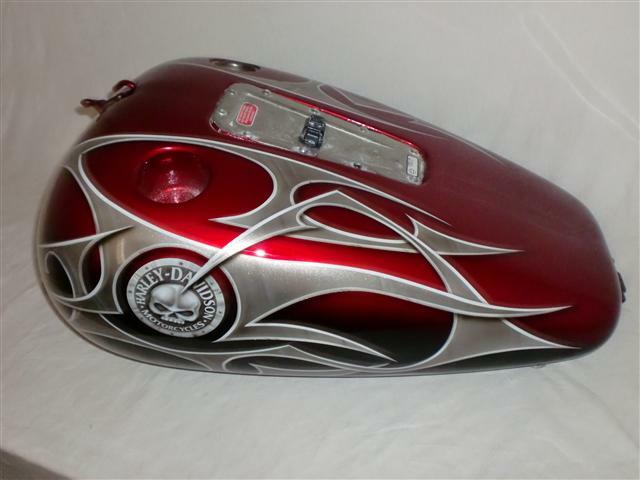 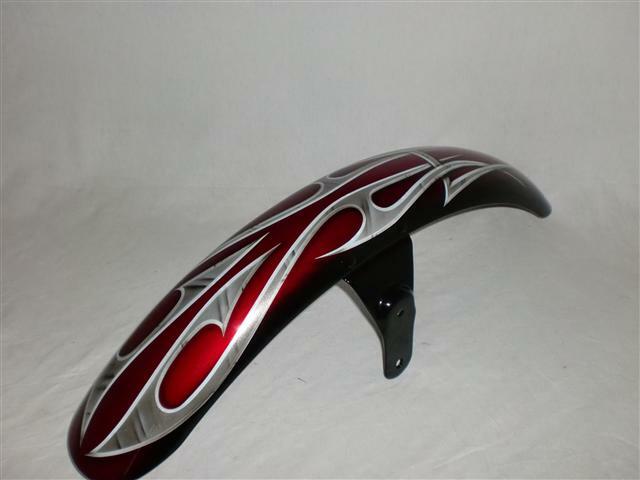 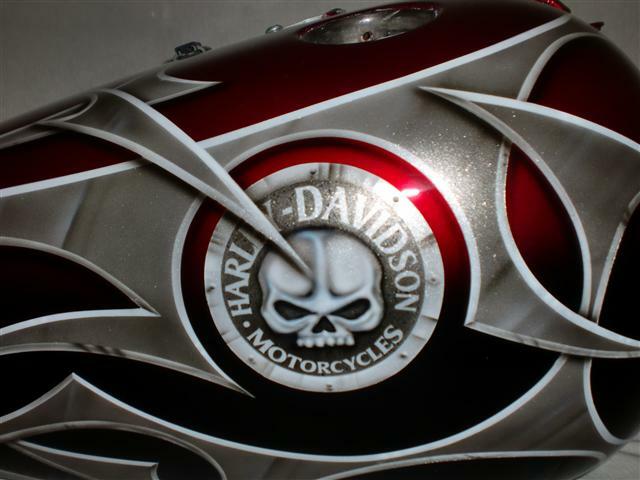 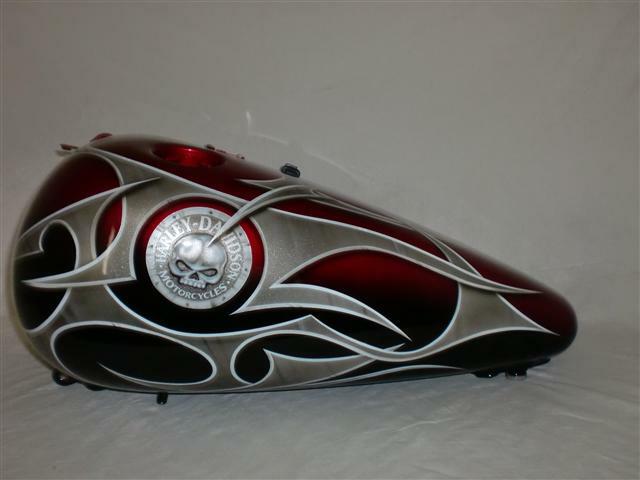 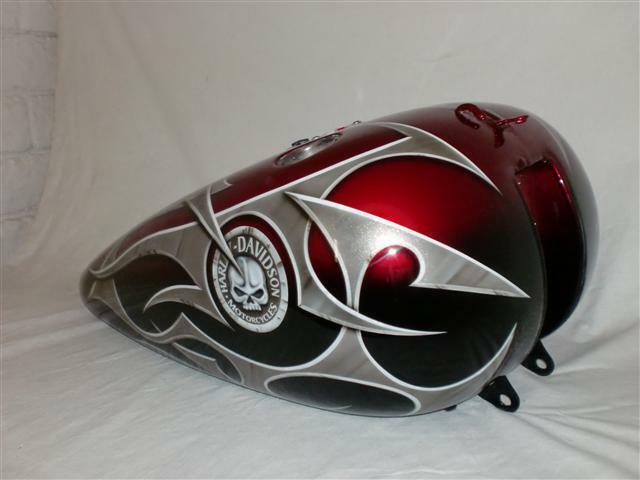 We can paint this design on any make or model. 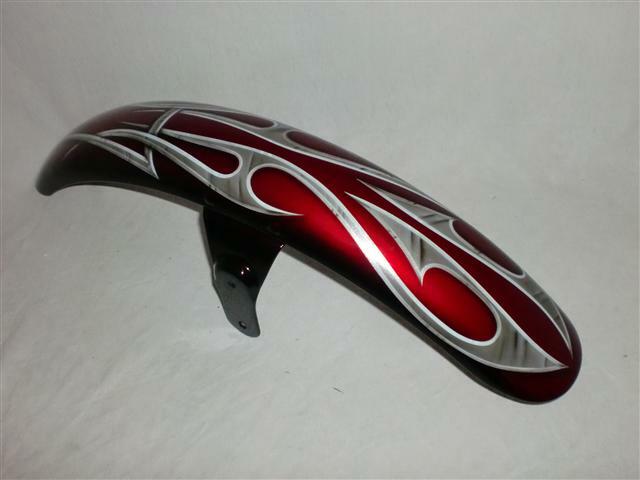 Let's see what it look like on your bike. 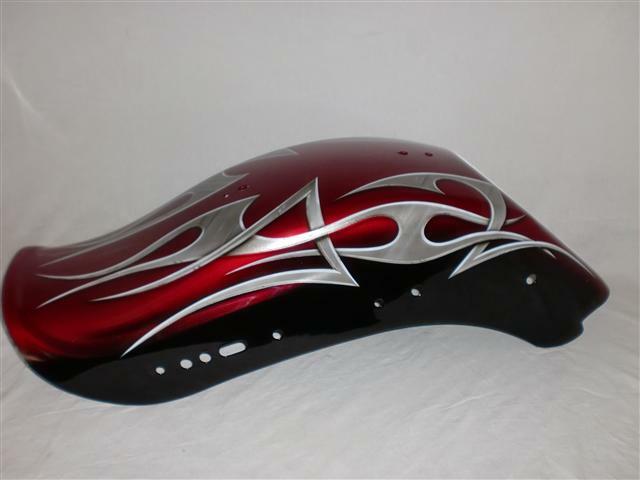 Candy red is what this customer chose. 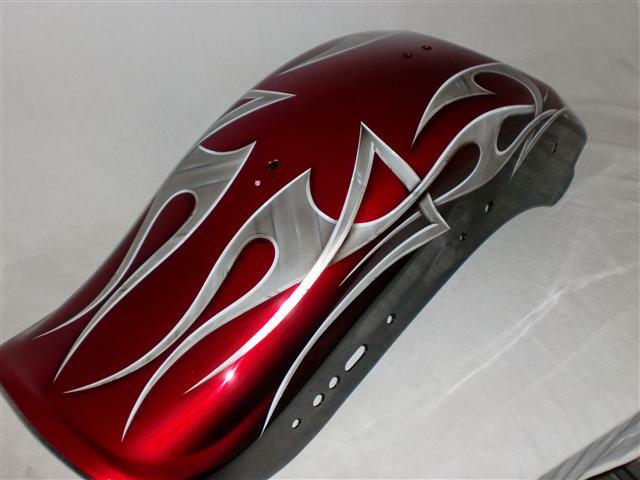 What do you want to use pink, midnight blue, pewter, any combination is available, call today with questions we are always here and willing to discuss your paint options.